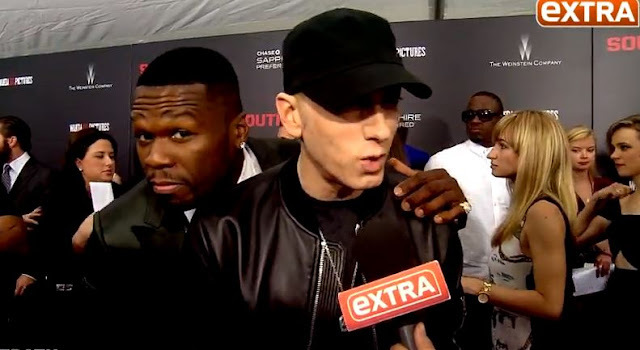 Home » 50 cent , behind the scenes , bts , Eminem , patiently waiting » Behind The Scenes: 50 Cent x Eminem "Patiently Waiting"
Behind The Scenes: 50 Cent x Eminem "Patiently Waiting"
This was one of the biggest records. It still is a hit to this day. The buzz around 50 was INSANE. The kids born later likely won't see a genuine growth like this ever again. Dope hearing them explain the process of the song. The Cool Kids [Chuck & Mike] "SUPERSQUAD"
Snow tha Product "The Rest Comes Later"
Short Dawg "Drank, Sinatra, & The Scripts"